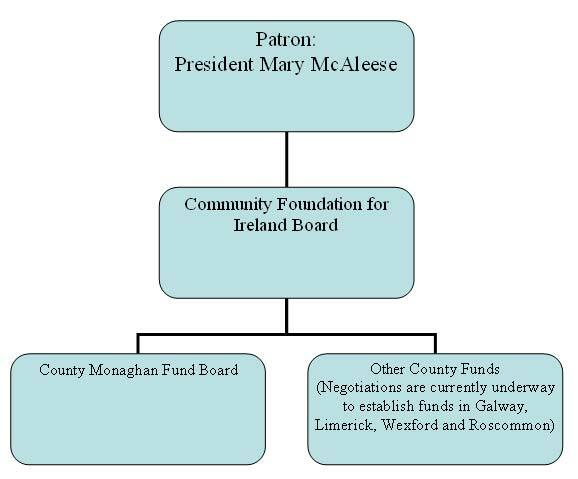 The County Monaghan Fund is based on a very simple idea. Take a sum of money. Invest it on behalf of the people of County Monaghan. Keep reinvesting the lump sum to keep on generating more income. The County Monaghan Fund was established in January 2004. It is the first county philanthropic fund in the Republic of Ireland. It was set up with the support of the Community Foundation for Ireland and a committee of 12 civic minded Monaghan people representing all areas of the county. At the first meeting of the County Monaghan Fund committee, the Community Foundation for Ireland set a challenge. They would give a €100,000 grant to start the County Monaghan Fund, but only if it could be matched locally. This sum was raised there and then at the first meeting and a year later, in January 2005, the committee had their first annual income of €8,000 to spend. Since then the Fund has been steadily growing. The more the Fund grows, the more income it generates for community and charitable projects in County Monaghan. The local committee have managed to raise the Fund to €350,000 to date and it is still growing.